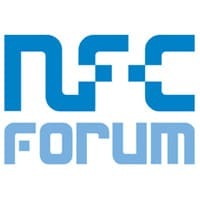 The NFC Forum has released a new candidate specification that extends the functionality of NFC devices to include formal support for a new category of NFC tag. NCI 2.0 also enables tag data stored on an NFC device, such as an airline boarding pass, to be read even when a passenger’s smartphone is switched off. NFC Controller Interface Candidate Technical Specification Version 2.0 (NCI 2.0) also introduces RF Interface Extensions, extends the Listen Mode routing mechanism to provide more flexibility for NFC devices with multiple secure elements, adds a high-level RF interface and offers support for an Active Communication Mode (ACM) for peer-to-peer (P2P) communication. An autonomous tag emulation feature in NCI 2.0 will enable tags stored on NFC devices to be read when a device is not switched on, Böhler explained to NFC World. “In the existing NCI specification, the emulation of a NFC Forum tag can be implemented by an application running on the application processor,” he explained. “That means the NFC device must be switched on and the application processor must be active. The new feature allows the content of the emulated NFC Forum tag to remain available for later use, even if the NFC Forum device is switched off or out of power. “That can be especially useful, for example, for things like airline boarding passes which should be able to work independently of the state of the NFC Forum device. Now an airline boarding pass can be stored on the emulated NFC Forum tag within the NFC controller and made available later at the boarding gate even if the user has already switched off the phone in preparing to board the plane. “The RF Interface Extension is a new concept introduced in NCI 2.0 that optimizes and accelerates the communication between the NFC controller and application processor within an NFC device,” Böhler added. “It is currently used for two purposes: First, to activate the autonomous exchange of Symmetry Protocol Data Units (PDUs) to maintain an ongoing LLCP link without generating additional communication on NCI between the NFC controller and the main processor. This avoids unnecessary interruptions of a running P2P application on the application processor, thereby helping to improve overall performance. The new NDEF RF Interface is designed to make it easy to integrate NFC Forum technology into embedded devices “that do not have a complex operating system with a complete NFC stack available”. For this use case, Böhler explained, “the NFC controller implements all necessary mechanisms to manage an NFC Forum tag based on one of the NFC Forum tag types. Version 1.3 of the LLCP specification “adds an unauthenticated secure data transport option to ensure privacy and confidentiality of messages exchanged between peer devices”, the NFC Forum says. “When two NFC Forum devices supporting LLCP 1.3 are brought together, they can establish a secure P2P connection in which all exchanged LLCP messages are encrypted using the Advanced Encryption Standard (AES),” Böhler told NFC World.